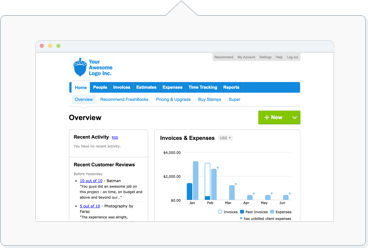 If you haven't already, get started by enabling FreshBooks Payments with the steps here. Business – Choose this if you’ve filed official government paperwork, such as articles of incorporation. Individual – Select this if none of the other options apply. Nonprofit Organization - Choose this if you’ve filed official government paperwork, like your status as a Registered Charity. Sole Proprietor – Use this if you have a corporation number and wish to use it for tax reporting purposes. This is facilitated by WePay's Trust Center to verify your identity and your customers, as well as comply with anti-money laundering laws. It is also required for any tax reporting depending on your business type. This a required step in order to receive your payments. After you have received a payment, you have 90 days to verify your account through the KYC process. If you don’t verify your account in time, any payment that you've received will be refunded to your client and any further payments will not go through until verification is done. If any of the information above is incorrect, WePay will send you an email with a link asking you to update your account information. Occasionally WePay may request additional documentation to verify your business by email at any time during your use of FreshBooks Payments. Like with Account Verification (KYC), this is done to ensure each transaction is safe and secure. Once you've responded to WePay's email with the requested documentation, it can take some time for the verification process to be completed. WePay may also follow up with a request for more documentation or clarification - it is important you respond to these emails so that the process can be completed as quickly as possible. Note that any payments processed during this time may be paused until verification is complete.